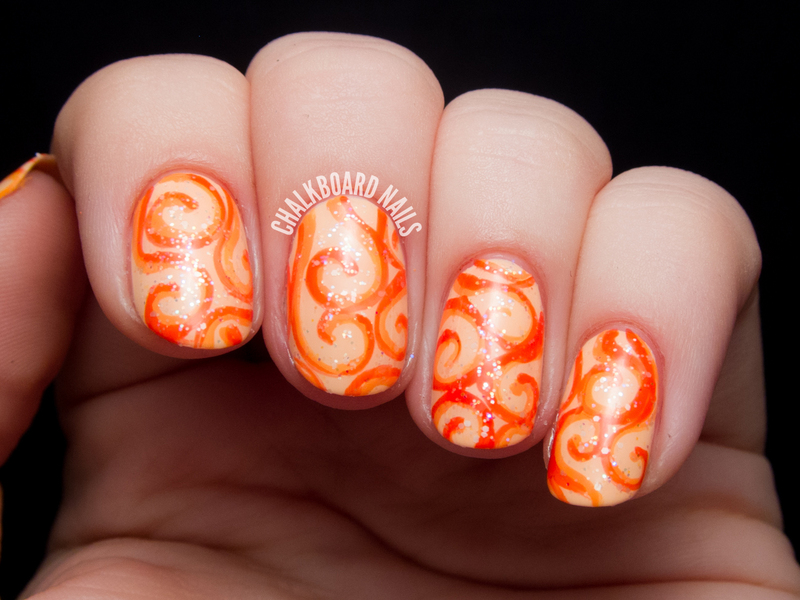 This candied orange peel nail art came out of a bit of freestyling. I was watching United States of Tara on Netflix and started painting orange swirls over an orange base. Since I found success putting glitter over nail art in my pastel stripe manicure, I decided to try it again. This time, I reached for a sugary iridescent glitter that gave the manicure a sweet finish. I don't often do orange nail art -- the 31 Day Challenge might be one of the few times during the year that I actually do. I think the tone on tone swirls are nice, but the glitter is what really sells this nail art, to me. Here's what the manicure looked like before I added the glitter. Which way do you prefer? These look so cute and whimsical to me! Love it with glitter and without too. Yummm! It really does look like candy deliciousness. It's such a good show! The final season was really really intense. And yeah, I think I'm developing a FG problem. Those bottles tho! I really didn't want the show to end. It was one of those shows where I felt like I was going through withdrawal after I saw the last episode! 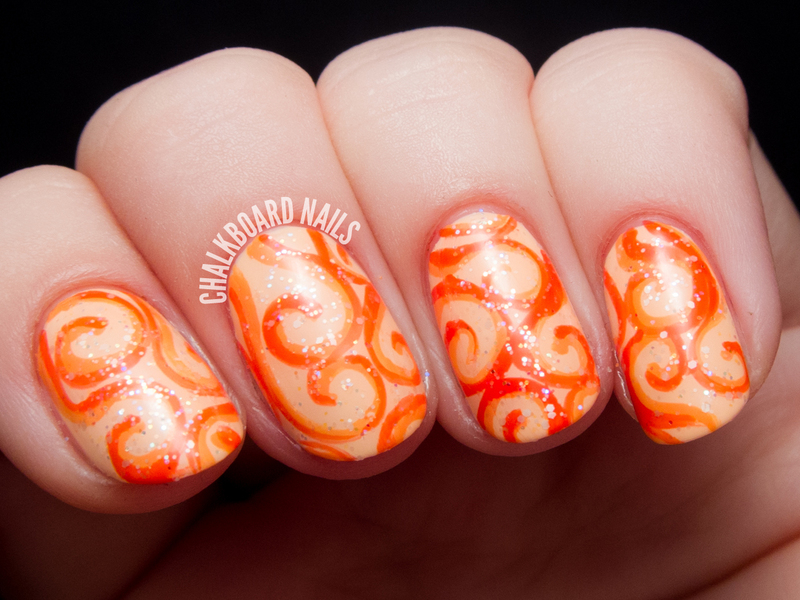 I Love this and would love to try it for 30 days of nail art challenge. Giant ball of blood outside the tent collapse again broken the ice, sickening smell of blood children instantly spread. The blood no teeth silver chain curtain and saw that the gap of silver chains at one bulging up Cheap Asics Running Shoes blood, blood instantly lengthen these changes in morphology, has become a bloody monster Asics Trainers Sale of a blink of an eye. Screen was frozen blood balls Asics Trainers Sale suddenly shook up. This time the power is enormous shock, shaking the earth also followed a bang, like a spider web of Cheap Asics Running Shoes cracks in the floor spread. Not good. We fully instill Asics Running Shoes Sale Asics Running Shoes Sale spiritual power. Soon force roar. On roaring at this time. Whole blood screen giant ball while being issued a roar of sound. This is so pretty. The colors go together so well and the glitter really sets it off. Serum No. 5 - Another Year Let's Cheer! Lacquistry's Amazeballs Is Shiny... Real Shiny.